We're sad to hear that famed actor, Tony Curtis, passed away yesterday. According to reports, Curtis died at his Las Vegas home on September 29, 2010, of an apparent cardiac arrest. Tony Curtis co-starred with Roger Moore in the TV series The Persuaders! which was based on The Saint episode titled "The Ex-King of Diamonds". 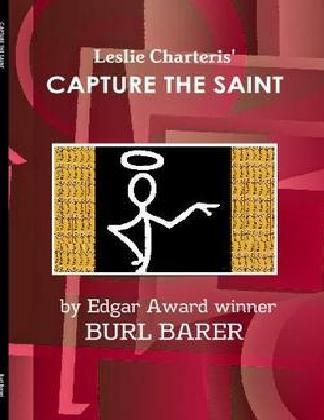 The interesting dynamic between the suave Englishman Simon Templar played by Roger Moore and a crass Texas oilman (played by Stuart Damon) was a great combination that Robert S. Baker and Lew Grade extended to a new series starring Tony Curtis in the role of the texan, while keeping Roger Moore as The Saint series came to an end. 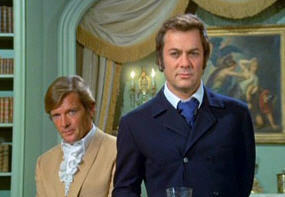 The Persuaders also featured a number of other parties to The Saint, including many supporting cast members, many of the same writers, and the same director. Tony was a good friend of Roger Moore's, and was on-hand via conference call when Roger received a blue plaque at Elstree Studios in October 2006. Roger has also posted the following on his website, "Hearing the news about Tony deeply saddened me today. He was a great friend and a great co-star, and I will forever remember the laughs and fun we shared on The Persuaders and the friendship which endured ever after. His legacy is huge as was his star. I will miss my friend. My thoughts are with Jill and his children at this sad, sad time and I send them much love." 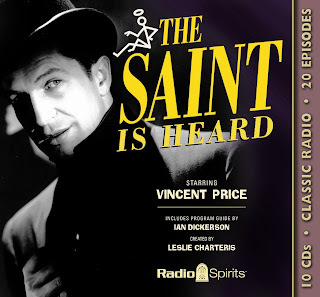 On September 14, 2010, Radio Spirits will be releasing The Saint is Heard, a 10-CD audio set featuring 20 episodes from the old radio series of The Saint, starring Vincent Price. These episodes, which have been digitally remastered, are a selection from those starring Vincent Price and Barry Sullivan as the Brighter Buccaneer. The set also includes a detailed program guide by Ian Dickerson. 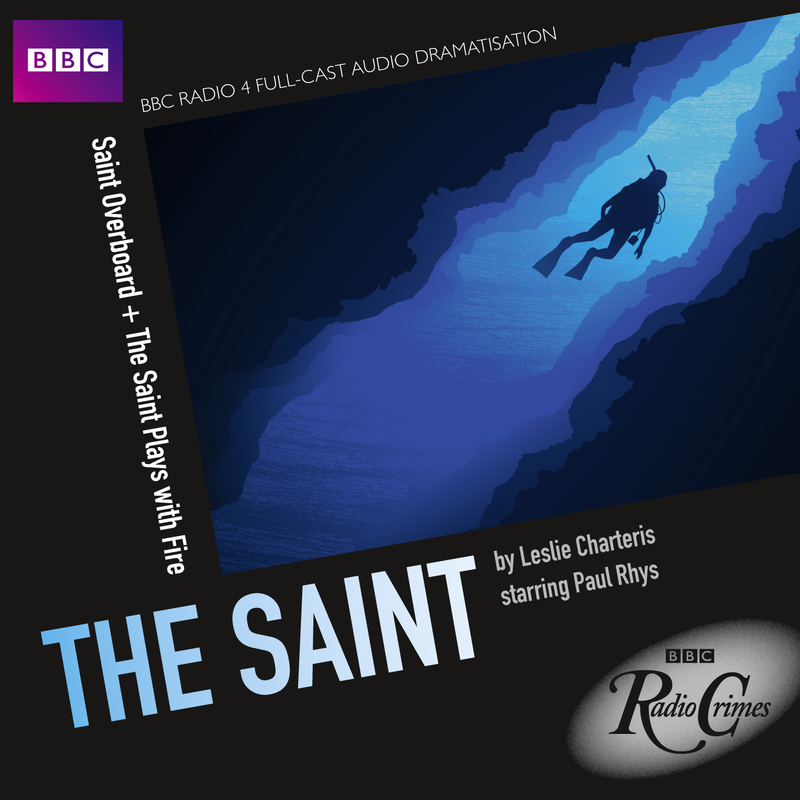 "The Saint--sprung from the pen of Leslie Charteris, his adventures fill thirty books, a dozen motion pictures--and now, by radio, he is yours for the next half hour." 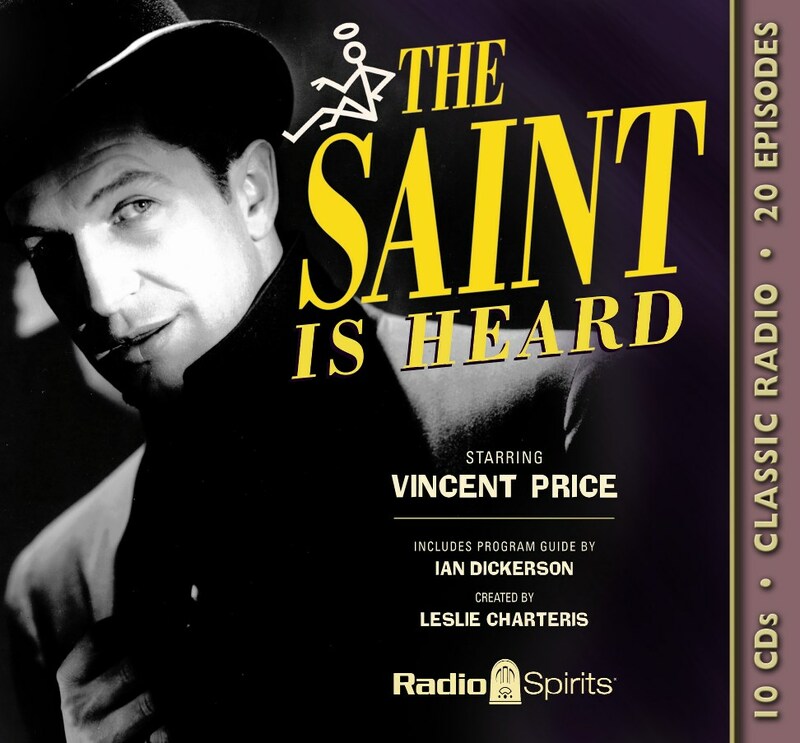 Simon Templar, played by Vincent Price, was wealthy and refined. He was well dressed, well traveled, and well educated. He was also The Saint, the "Robin Hood of modern crime," who was not afraid to break the law if that's what had to be done to ensure that justice was served. Larry Dobkin, who also stepped in to play The Saint in a single radio epsiode, co-stars in his usual role as Louie the Cabbie in these digitally restored and remastered tales that find Templar sailing, skiing, and delving in to the disparate worlds of mining, baseball, prizefighting, mystery writing, and more. 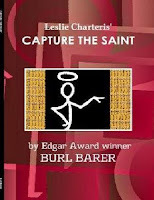 The Saint sets all manner of matters straight, all the while maintaining excellent form. Includes a Program Guide written by Ian Dickerson, featuring photographs and a series history. 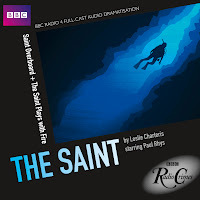 There is more information about The Saint on Radio available on www.saint.org, and The Saint is Heard is available directly from Radio Spirits.